One look at the list of ingredients on a canister of protein powder (or the back of a packaged protein bar) is the first clue that what we may be thinking about putting into our bodies isn’t real. In fact, not only is it not real, it’s not healthy either! 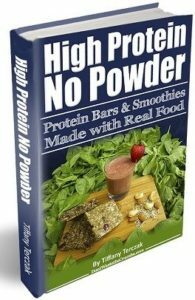 In her just-released book High Protein, No Powder Bars & Smoothies, Tiffany Terczak shares the sad truth about what’s really lurking in those convenient packaged protein boosters and how we can use wholesome real food ingredients instead to create delicious high protein smoothies and bars. You know me. I don’t recommend anything unless I personally use it and LOVE it! So let me share just a few reasons why I’m so excited about this book! • A well-researched, thorough discussion on the dangers of processed protein powders and why/how to avoid them. • And of course, the recipes … the glorious, great-tasting protein-packed recipes! Plus step-by-step instruction for creating dozens more of your own delicious, nutritious protein-packed smoothies and bars! Speaking of the step-by-step instructions in this book … one the most practical tips I learned was the simple formula for building a good smoothie. After following Tiffany’s fail-proof method, I was amazed at how much easier my smoothies came together and how much better they tasted too. Yum! So for less than the cost of one smoothie at your local juice bar, you can purchase a comprehensive guide that will walk you through how to create an endless supply of the most amazingly delicious and nutritious smoothies – dare I say, ones your children may even enjoy with delight! And in typical fashion, I’ve also talked Tiffany into allowing me to share a fabulous recipe with you – after all tasting is believing, right? So give it a whirl and see what you think. And whether or not you opt to purchase Tiff’s book, be sure to submit a photo in my fun contest (see note below). This delicious protein-packed, nutrient-dense smoothie is just one of the many real food smoothie and bar recipes in High Protein, No Powder Bars & Smoothies. Add the ingredients in the order listed to a blender and process. Repeat if necessary to ensure smooth consistency. For a thinner smoothie, add additional liquid of your choice. There's no need for fake processed protein powders when you can enjoy a real food smoothie that really packs a punch of protein (approx. 20 grams) – not to mention, a wealth of beneficial nutrients too! 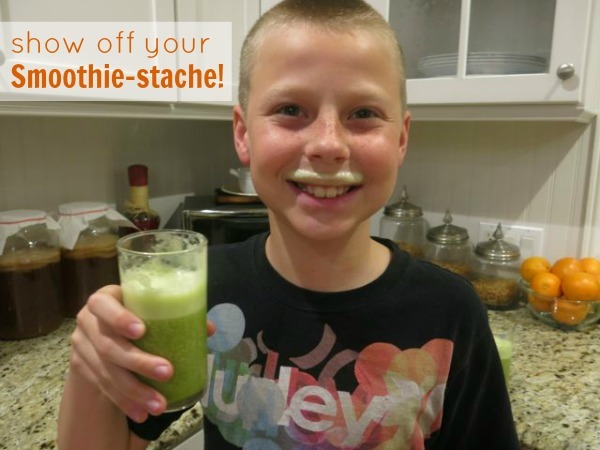 Show off your Real Food Smoothie-stache! Love real food smoothies like we do? 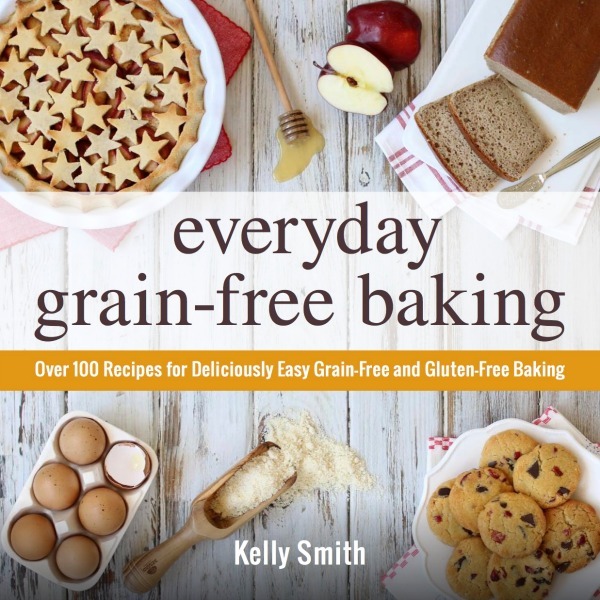 Then be sure to grab Tiff’s book at 30% off (remember to use coupon code: NOURISHHOME30). Then, take a selfie showing off your awesome smoothie mustache (or your kiddos) and email it to me ([email protected]) by 5pm pacific time on Saturday, January 10. With your permission, I’ll post your adorable “smoothie-staches” on The Nourishing Home Facebook page next week. Now that’s going to be FUN! … so, Real Foodies … start your blenders! *Disclosure: If you opt to purchase using the affiliate link in this post, a small portion of the sale goes to support The Nourishing Home at no additional cost to you. There is no obligation to purchase, but if you do, you are helping to support the free resources, meal plans and recipes here at The Nourishing Home. Thank you! Thanks for sharing. 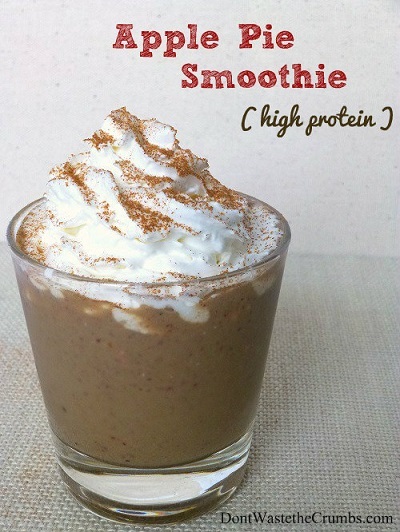 I’m always looking for ways to get more protein into smoothies without resorting to processed powders. Thanks to all those who shared their thoughts. I have happily purchased the book, and look forward to good health to myself and to all. The book was not written with complete proteins in mind, and I admit to not knowing much about the topic, but a quick search yields the result that animal proteins ARE complete, so using dairy in the smoothies would be fine. For the DF or vegan, I read “combining two or more incomplete proteins makes a complete protein.” SO, assuming that’s true, some of the DF smoothies containing beans and seeds would be good as well. Finally, I read that hemp hearts are a complete protein, which means that many of the bar recipes are complete by default, and a simple substitution (using one of the printables) can make ANY bar a complete protein. Whew! So while it wasn’t a goal, it turns out to be anyway!! Best of luck Lynda! That’s awesome, Tiffany. Thanks for taking the time to research and provide an answer. I am sure this will benefit many others who may have the same question. Your book is AWESOME! My family and I love it! I’ve gone from smoothie-flop to smoothie ROCKSTAR by following your 4 steps to building nutritious and delicious smoothies. Looks great! Do many of the recipes use beans? They are a good protein source, but I can’t eat them, so just wondering before I buy the book? Love the idea! I am trying to get into the real food for myself and my family, however, I would love to hear from people who have tried these high protein recipes. Will children truly enjoy it? Will adults truly enjoy it? I want recipes that will work to continue to give healthy options to my kids, but the whole point is that they continue to eat/drink it. Love to hear from you all! Hi, just wondering if the protein bar recipes are grain-free? Thank you for posting this recipe! I am entering my third trimester and finding protein smoothies to be a boon for breakfast. The liquid doesn’t leave me nauseous while still giving me nutrition. I admit to using an organic protein powder but am very interested in trying your recipe! i recently tried the cheesecake smoothie and it was a hit with my 9 yr old, but my 5 year old thought it was too thick. I will adjust the thickness and try it again. Hi Kelly, I’ve recently started following your blog. I m curios to know how the shakes in this book (or homemade smoothies) compare to all the products my friends hassle me about trying (body by v, shakology…the list goes on and on).